We are a small farm with big ideas. Building the health of our soil is a fundamental priority for us, and so we work towards minimal tillage systems. We use lower impact implements in our field prep and weeding, in an attempt to do less damage than standard practices do to the physical structure and microbiotic communities in the soil. 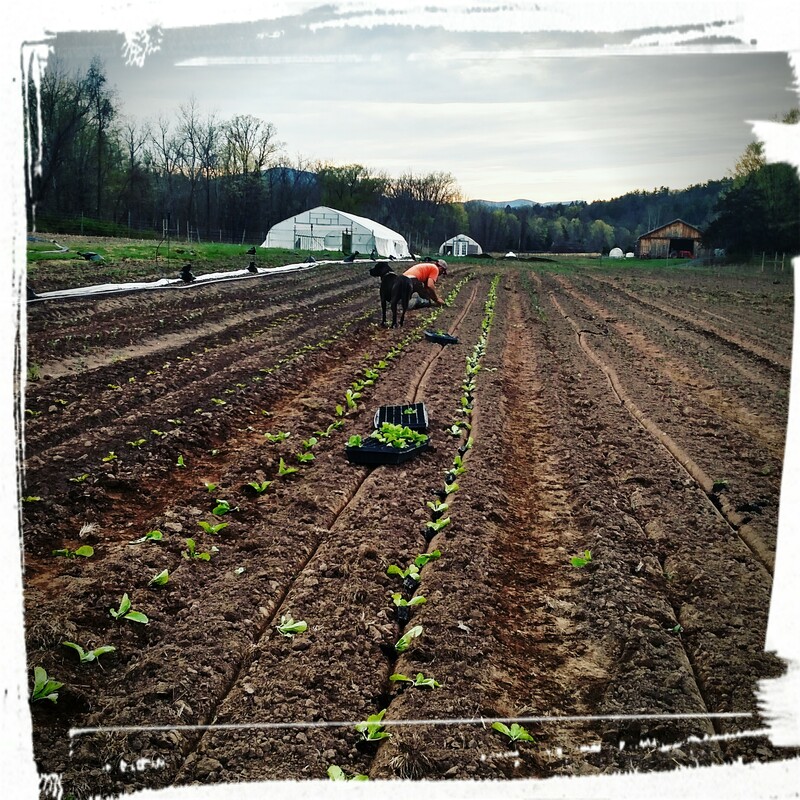 We apply compost and plant cover crops to add nutrients and organic matter. We’re thinking all the time about ways to improve the quality of our soil. We aren’t yet certified organic, but we do plan to be in 2018. Currently, we have taken the NOFA-NY Farmer’s Pledge, which is a commitment to using organic practices. That’s how we’ve always farmed, and that’s how we do now. We don’t use any synthetic fertilizers. We use no herbicides. Only when it’s totally necessary do we use any organic-certified pest control sprays to protect the veggies from the occasional attack by hungry insects. We believe in providing our livestock animals the best quality of life we can, giving them ample space, clean conditions in low-stress environments, and the ability to express their natural behaviors. Our broiler chickens are raised on pasture. In the future, we hope to add pastured pigs and 100% grass-fed beef cattle to our farm. We hope to farm for the rest of our lives, and one of the joys of farming is that it’s a lifelong project. We’re excited to see how our practices evolve and improve, and what our impact is on this land.